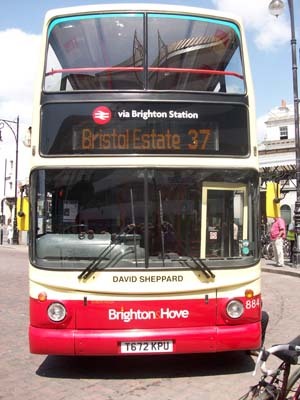 Connections with Brighton and Hove : David Sheppard Cricketer Lord Sheppard of Liverpool, who died aged 75 of cancer in 2005, was captain of Sussex and England at cricket. Yet after he retired from the game he achieved even more eminence as Anglican Bishop of Liverpool and a reforming member of the House of Lords. He clashed with Prime Minister Margaret Thatcher over the Church of England reporter Faith in the City in 1985 which described disgraceful conditions in large conurbations. Sheppard played for Cambridge University before becoming a successful batsman with Sussex after the Second World War. He captained the side and led Sussex to second place in the championship in 1953. He scored 45 centuries and topped the 2,000 run mark each season between 1951 and 1953. He headed the national batting averages in 1952. 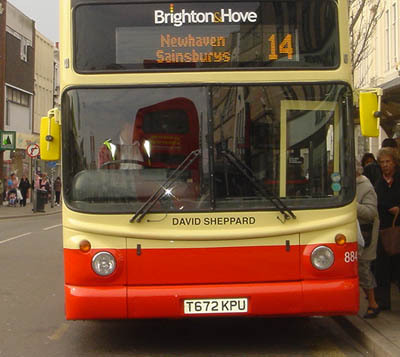 Sheppard had increasing commitments with the Church and made his last cricket appearance in 1962. 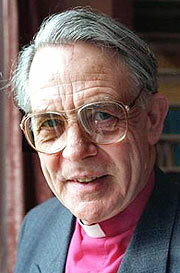 He was Bishop of Woolwich before moving to Liverpool and being appalled by the poverty there. 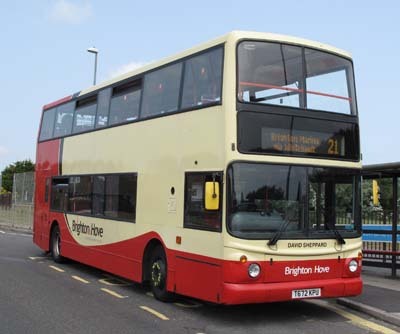 884 Dennis Trident - carried name since repaint in March 2006. 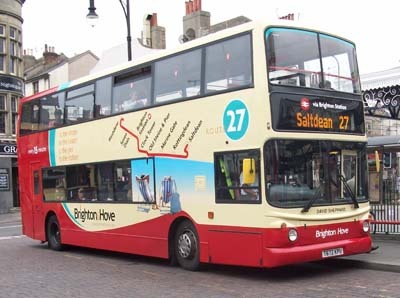 Repainted into Route 27 livery May 2011. 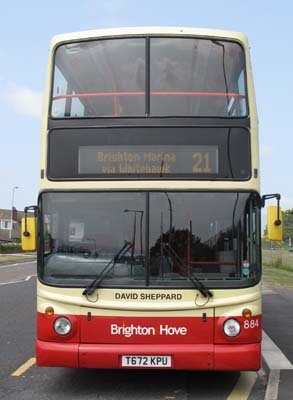 Route 27 branding removed July 2013. 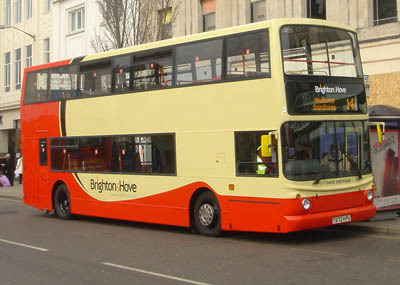 Bus sold in February 2014.